When designing a home in a country as verdant as Brazil, it’s important to retain a strong connection to nature. Obra Arquitetos does just that with LEnS House by creating an open design, unobstructed views of the beautiful Mantiqueira mountain range, and planting a suite of lush green plants throughout. The house provides a contemplative and reflective space for a couple. Organized around a small patio, it unfolds across different levels providing views of the central open space through curved glass. The building’s dialogue with nature intensifies with height. The outdoor experience starts with the views of the patio, which features a host of plant species. A staircase leads to a green roof, gradually opening up more expansive views of the surrounding landscape. 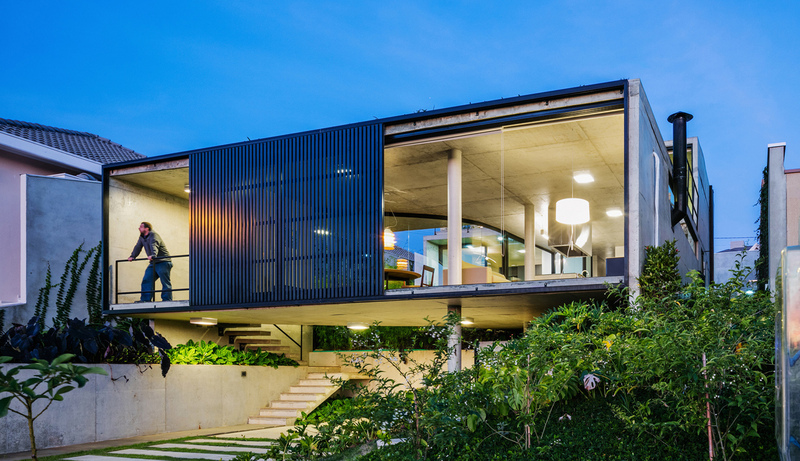 When designing a home in a country as verdant as Brazil, it's important to retain a strong connection to nature. 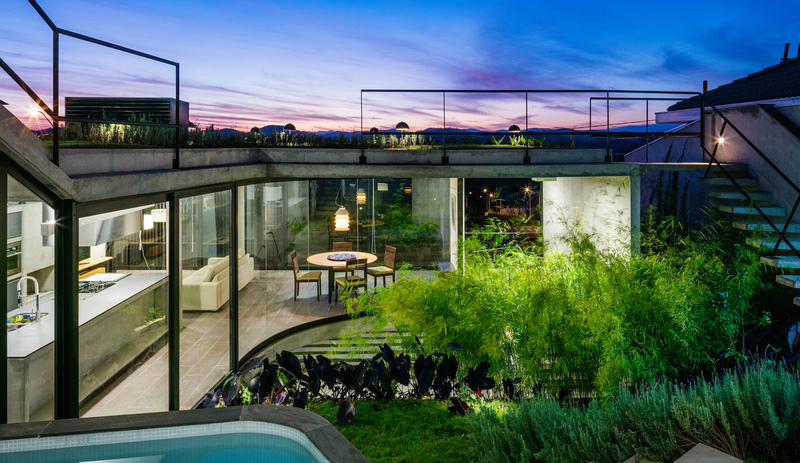 Obra Arquitetos does just that with LEnS House by creating an open design, unobstructed views of the beautiful Mantiqueira mountain range, and planting a suite of lush green plants throughout. The house provides a contemplative and reflective space for a couple. Organized around a small patio, the house unfolds across different levels providing views of the central open space through a curved glass. The building's dialogue with nature intensifies with height. The outdoor experience starts with the views of the patio which features different plant species. A spiral stair leads to a landscaped roof and gradually opens up more expansive views of the surrounding landscape. 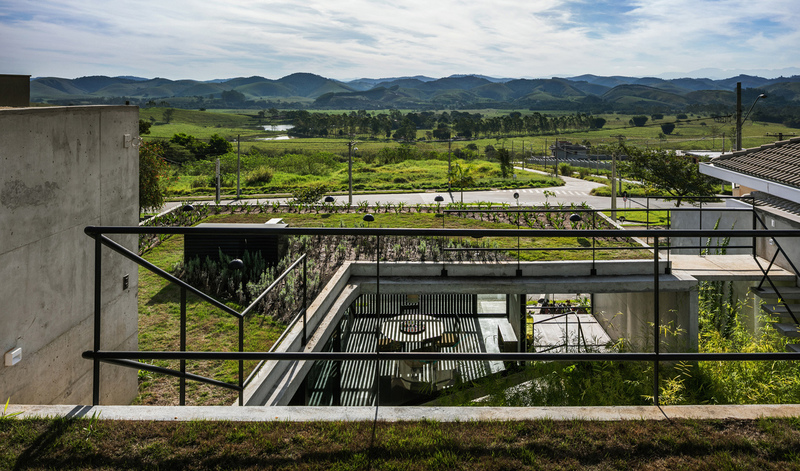 By curating views of the landscape, the house appropriates it and treats the Mantiqueira mountain range as an extension of its inner garden.